Protect yourself from fraud. 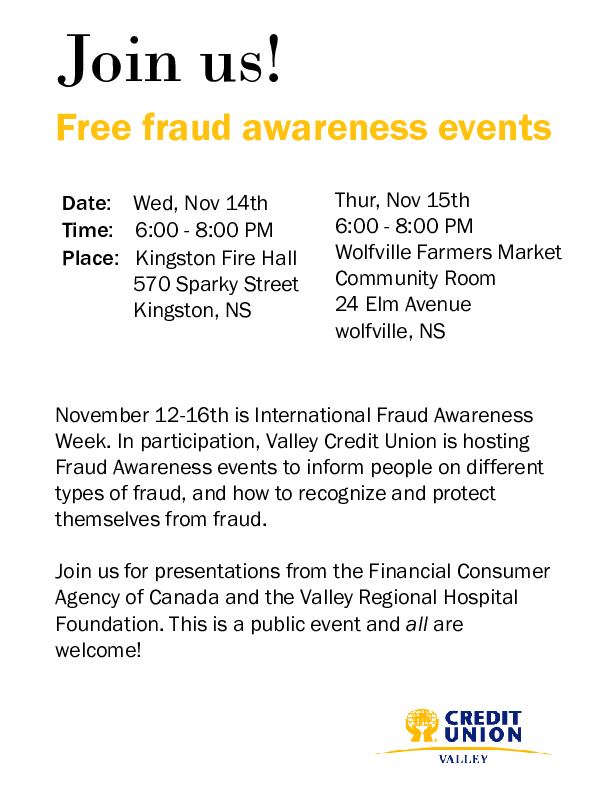 Join us for a free public awareness event and learn about different forms of fraud, how to identify them, and how to protect yourself from them. 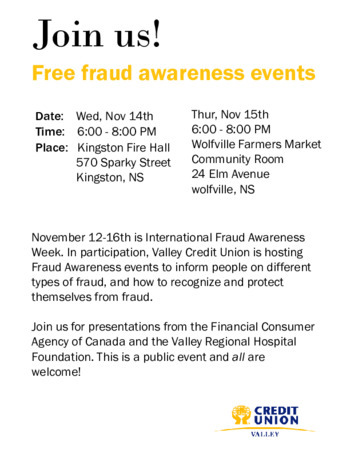 Geoffrey Pender, Partnership and Stakeholder Engagement Officer at the Financial Consumer Agency of Canada, and Deborah Conner, Executive Director and Donor Advisor at Valley Regional Hospital Foundation, will be our guest speakers.